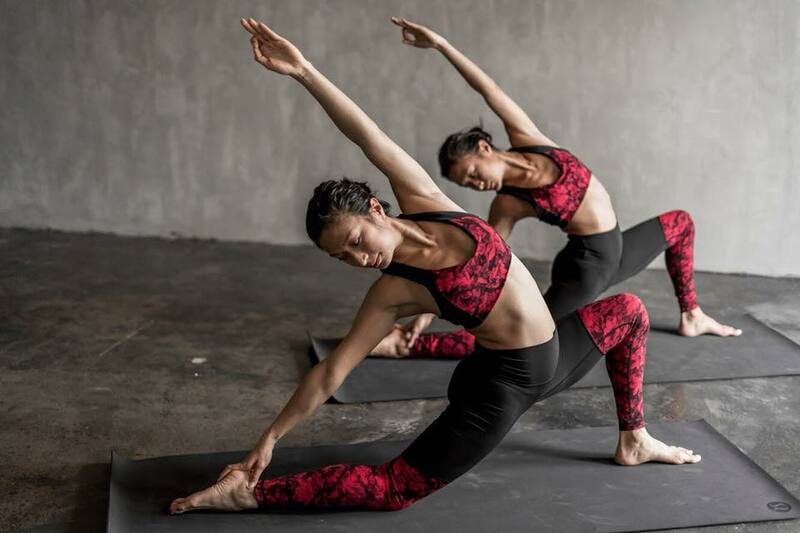 Pretty new red floral print shown on the Hong Kong site called Carmine True Red Black, shown in color blocked Wunder Unders and Sweat Times Bra. I think it might be a special edition local to Hong Kong only since the HK store site called it a Lunar New Year's Special Edition Collection but I'll cross my fingers we'll get it in North America. Print is very pretty, but the color blocked WUPs look like a pathetic attempt to knock off Alo. Easy pass. They do look similar to Alo's Goddess Leggings. 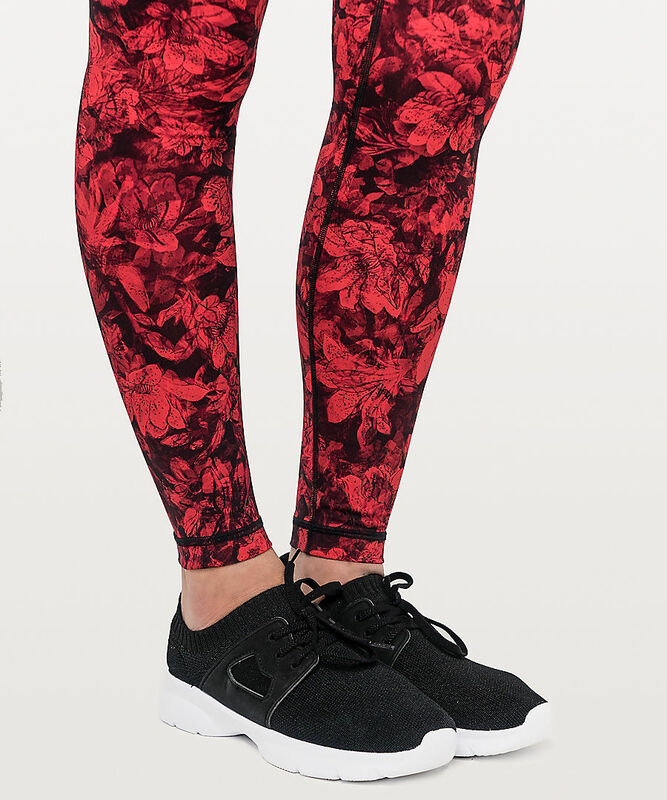 I think I would have preferred the special edition tight if the floral was on top and the black was on the bottom of the leg. LOL. Then it would really look like a knock off! Nevertheless, it's not something I would covet because I don't like red or florals. Those Reveal Tights are awful! Design gone wrong for sure! Yuck! Definitely not a fan! 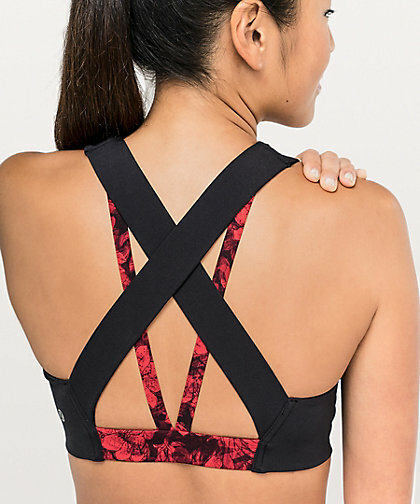 Off topic- Lululemon Seawheeze is in the air this week!! Who's entered for the draw?? So excited and hopeful I'll get in this year! Hey LuluAddict, I've missed reading your Seawheeze recaps the last few years. Have you not done the run anymore? @ anon 2:12 - no, I'm still a legacy runner and registered for this year, too, but I've gotten the trip down to a science now and it hasn't changed much - we stay at one of the Fairmonts, we wait in line for the store with our inflatable couches - and really all the drama that goes down in lines/shopping is fun for the people in the groups who know each other for years but I think boring for a lot of readers of the blog because it's very gossipy (though this year's controversy with place saving/line jumping/ flipping the $200 reflective pants for $1000 was pretty off the hook), and the race route and entertainment has remained largely the same so the only things that tend to change are the weather that year, what's in the breakfast and the minutia of what snafus the race directors introduced this time around. This is my second time trying & no luck. I tried 2 years ago while at work the second the registration started (on a stupid Chromebook, all we have at work, should have used my phone). I *thought* that I liked the lottery, but it really sucked waiting on pins and needles for over 24 hours to find out the outcome. I was pathetically counting down the minutes an hour before the results were going to go live & frantically checking my email. I think that I preferred getting the "bad news" right away. And while I am happy for those who got a spot during the random draw, seeing some people on social media who got in that A) don't run and or hate to run B) don't love lulu gear C) aren't even sure that they want their spot, or, D) all of the above... Argh!!! To all you luluaddict runners who *dream* of running Seawheeze & did not get a spot: I feel your pain! @Nat - very few of my friends and family got in. I hardly recognize any names who've posted they got in and only a small handful of friends I meet up with every year got in. I have to say I am not a fan of the lottery. Under the old way it's stressful having to block out the time and refresh multiple devices but it rewards the very motivated. I know many people who had run it 4 or 5 years running but now they're not going. Think the Chinese New Year items are an Asia exclusive, they are currently in stock in stores in Singapore (Singapore and Hong Kong share an online store as well). 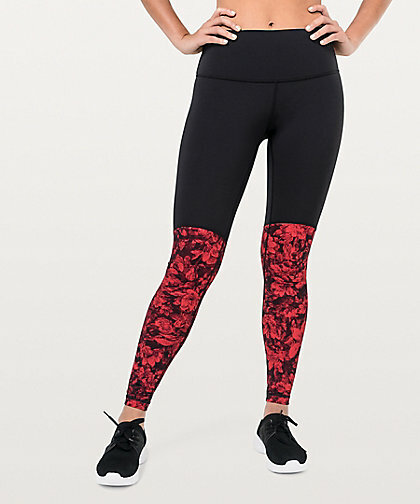 I saw the reveal tights at the 5th ave NYC store and they are actually pretty nice. I plan on purchasing them along with the bra. They will be great for sweaty yoga practice.